Please email me with any questions or requests for additional pics or something specific at: marisol.garrean@isonews2.com . 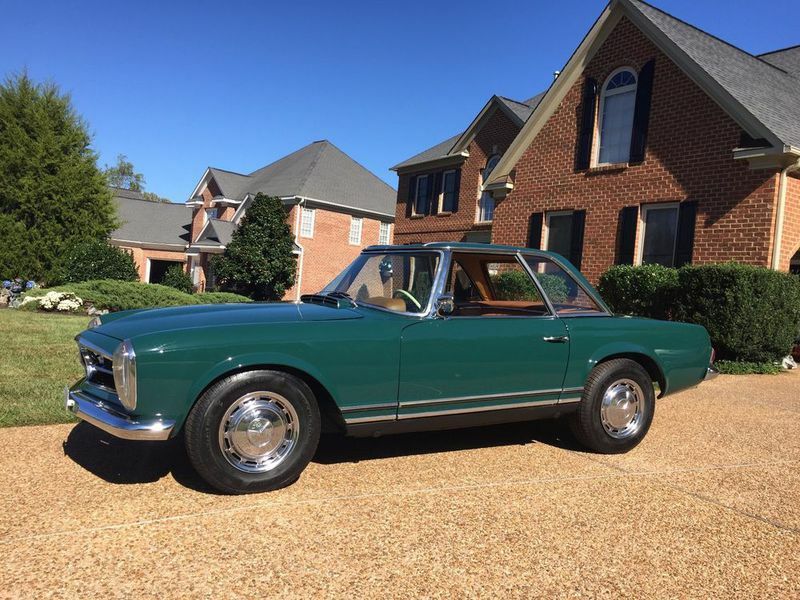 This beautiful Pagoda has just undergone extensive refinishing. 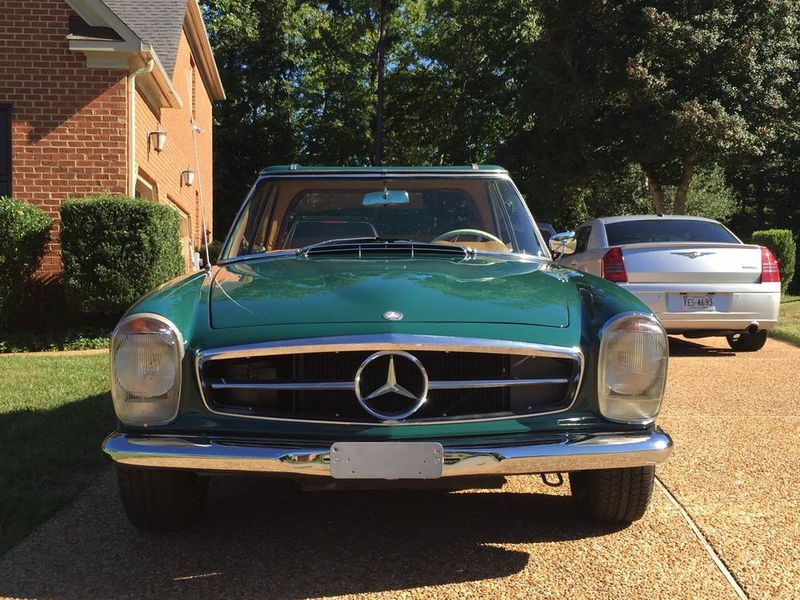 The body is razor straight, with correct Mercedes 268 Green finish. Wheel wells are color coded 268, per factory specifications. Bumper interiors are finished per factory specifications.Interior is finished in the correct German Cognac Leather interior materials and beading (done with the same machines as 1965 OEM). I am a firm believer in OEM vs remanufactured even if the finish is not perfect. Front bumpers and exterior windshield A pillars have been re-chromed, a new emblem for the trunk, and outer sill plates ....everything else is original parts as provisioned in 1965. General List of new items (not all inclusive) : new fuel pump, new fuel sending unit, rebuilt injection pump, new fuel lines, tank flushed and sealed. New brakes, front and rear, new wheel cylinders, brake lines replaced as needed. New washer pump, new interior heater flaps and seals, new heater control valve seal, new radiator cap, new shifter bushings, new glass seals and body seals throughout the vehicle, New tires, new interior wood finish (except front speaker cover) new light bulbs all around, including all instrumentation. All wiring has been tested and everything functions as it should, with the exception of the interior light rheostat in central gauge cluster. No leaks of any mechanical system. I have the original rear quarter trim pieces, and carpet pieces for behind the seats if you want to remove the leather or install trim. 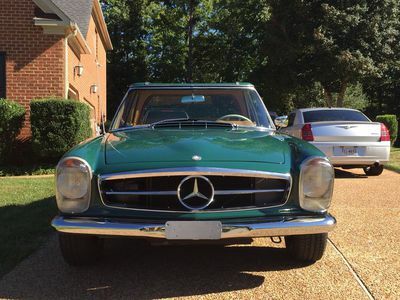 This vehicle has the original European rear apron trim and driving light option as provisioned in 1965. This is a hardtop, 4sp car.